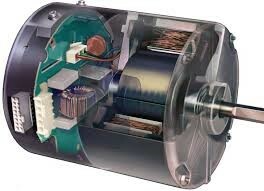 Variable Speed Fan Motor for best Comfort and Energy Efficiency. Hydronic Air Handlers have been around for years as a means to transfer energy from hydronic boilers and A/C units throughout the house by way of centralized duct work. However, in the past most air handlers were designed for high temperature water sources ranging from 140-180 °F. This mean that the heat exchangers could be relatively under sized and still do the job. With modern high efficient energy sources gaining in popularity, these old air handlers simply cannot do the job! Arctic Air Handlers are the new bread in efficiency and technology. Modern Air Handling Units such as Arctic Air Handlers, are equipped with heating and cooling hydronic coils designed to operate at lower hot water temperatures (104 to 120 °F) in Winter and relatively higher chilled water temperatures in Summer (42 to 48 °F). When combined with air to water heat pumps (Such as Arctic EVI Heat Pumps), the combining provides a high energy efficiency available with relatively modest cost. Compared to Geothermal technology, Arctic Heat Pump and Air Handler Combination has an annual COP (coefficient of performance) a bit lower than the Geothermal but with much lower Installation Cost. 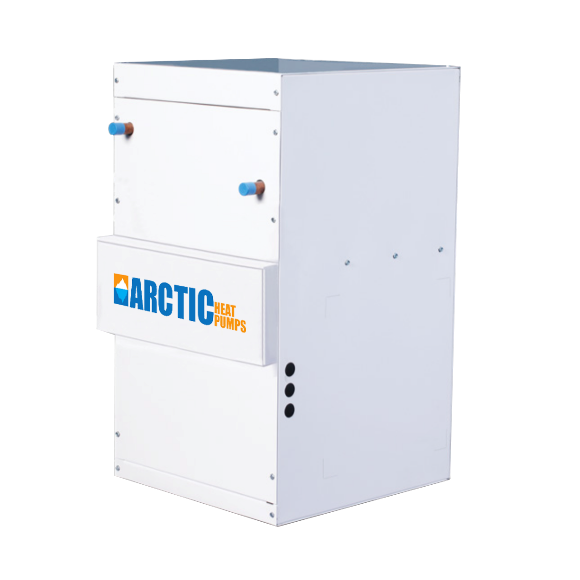 With features such as Variable Frequency Drive VFD and 6 row heat exchangers, Arctic Hydronic Air Handlers are the most efficient air handlers on the market for delivering lower temperature heating sources such as hydronic heat pumps, geothermal and condensing boiler, all of which are more efficient at lower temperatures. 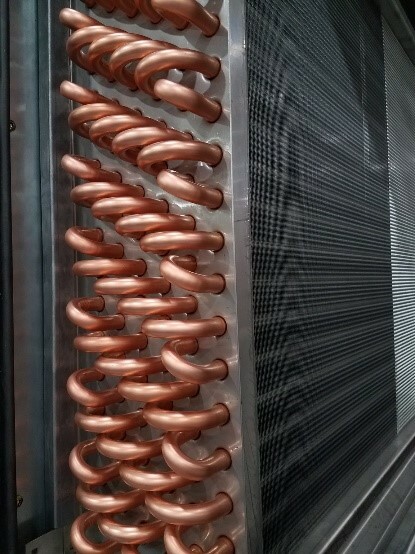 Six row hydronic copper & aluminum heat exchanger with 1” in/out lines. Unlike most hydronic air handlers our 6 row heat exchanger is nearly 400% larger than others. This is how we maximize the heat transfer when using lower water temperatures. However this does not mean it will not work with traditional high temperature boilers. In fact the Arctic Air Handler can output up to 150,000 BTU at 190 F. The special internal loop design in the heat exchanger allows for low pressure loss of 3.1 Feet Head @ 10 GPM. 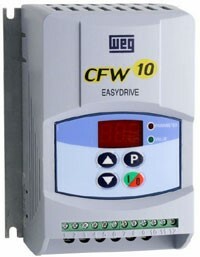 WEG Variable Speed Drive Controller – converts single phase 120 VAC to more efficient 3-Phase to operate the fan motor and modulates power output to match the load. (Less than 100 watts on constant fan speed). Easy touch setting allows users to program individual fan speed setting for cooling mode, heating mode, and fan only mode. The static pressure of the heating/cooling system is monitored and adjusted according to any changes such as closed vents or dirty filters. Three phases Direct Drive Motors use variable speed. This mean no start up capacitor is needed on the motor and make it quite and ultra-energy efficient. The motor only uses what it needs at all times, however, powerful enough to deliver up to 1750 cubic of air feet per minute! Single phase power is converted to 3-Phase for the motor by the VFD controller.